Add fun to your kid's playtime by getting this unique and creatively designed plush toy. 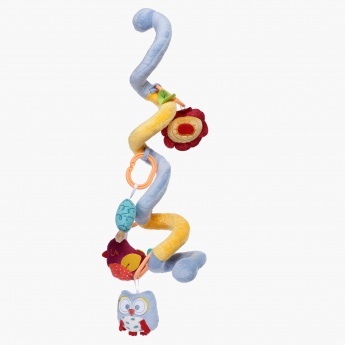 Soft and fluffy toys are attached on a spiral base, which can be fixed on stroller's bar or travel cot to keep your kid entertained all day long. Your kid will love squeezing and playing with these bright toys.